"This new network will be programmable at its core and will automate the provisioning of new applications and services." 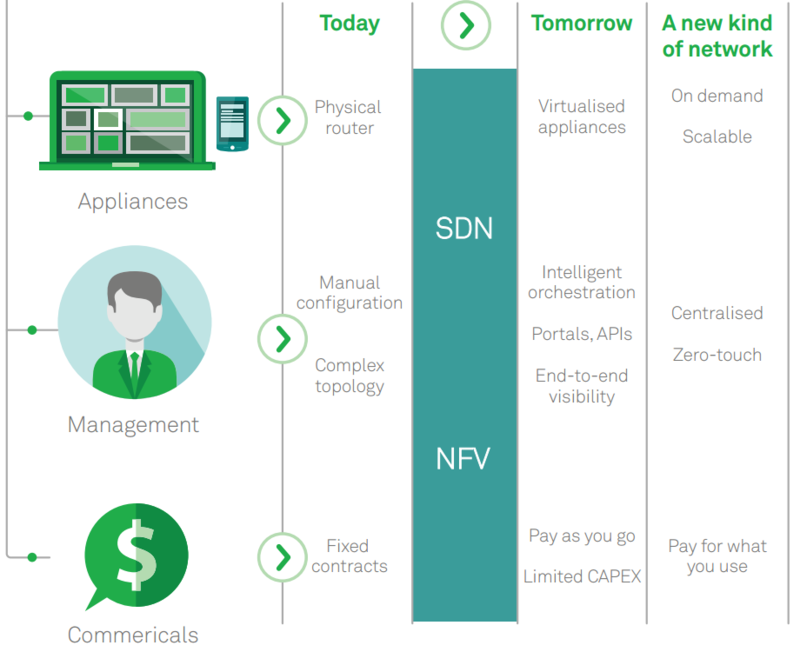 Telstra Corp. Ltd. is transforming its global telecommunications network via software-defined networking (SDN) and network functions virtualization (NFV) in order to provide a next-generation, programmable "network-as-a-service." The Australian carrier has been publishing information for months about an upcoming "new kind of network" and today penned a post providing more details on the project it calls the Telstra Programmable Network. As its name bespeaks, the project is heavily invested in network programmability, a key tenet of the SDN/NFV movement. "This new network will be programmable at its core and will automate the provisioning of new applications and services so businesses can quickly add new services and capabilities that deliver better end user experiences without significant infrastructure upgrades," company exec Jim Fagan said today in a blog post. "Customers will also get simple and secure access to multiple cloud services via a simple user interface." To show that functionality in action, the company published a "Programmable Network Portal Tutorial" YouTube video that shows a customer logging in to quickly set up a couple of new network endpoints in different cities and establish a flow between them, among other actions. Although the company is based in Australia, the new-age network will provide services far beyond that nation's borders. [Click on image for larger view.] 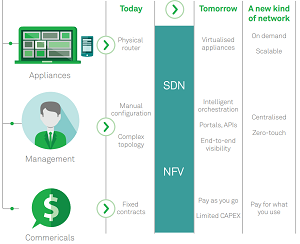 How SDN/NFV Are Shaping the Programmable Network (source: Telstra). "The Telstra Programmable Network will combine our [SDN] and [NFV] capabilities, cloud platform and datacenters, and global and Australian networks in one integrated and intelligent platform that provides a network-as-a-service with global reach," the company said. "Our international IP-based Virtual Private Network (IPVPN) customers will also be able to access the Telstra Programmable Network's capabilities from our 2,000 points of presence worldwide after launch," the company continued. "This includes extending their network via Telstra's portal or API to access the internet and a range of public cloud services including Amazon Web Services and IBM SoftLayer." The Programmable Network will help organizations optimize their IT operations by providing automated, on-demand and near real-time provisioning, along with a consumption-based pricing model and new data analytics insights about network usage. 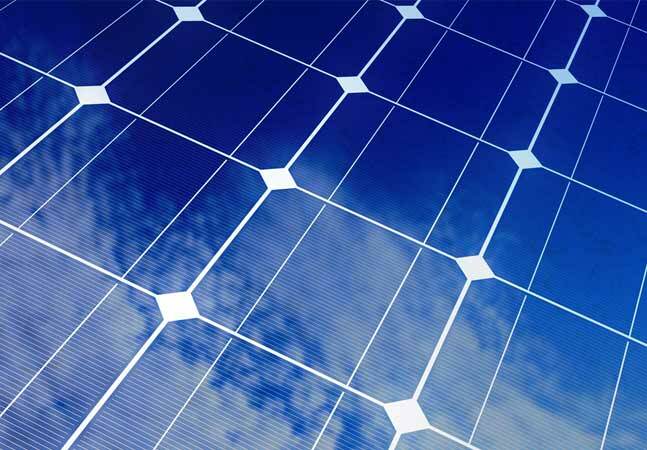 By bringing together all of the company's SDN technologies under one umbrella program, the new offering will also leverage PEN, the carrier's first globally connected on-demand networking platform. PEN's Web site says the platform "empowers you to build on demand high-performance networks with the flexibility and scalability you need to bridge hybrid cloud deployments. Cost-effective and reliable, PEN is pioneering the way with [SDN] globally to enable your business to self-provision dynamic network services." To prepare for the global rollout of the Programmable Network, Telstra is first upgrading its core IP network in order to provide the additional bandwidth and flexibility needed for the next-gen project. "These initial investments will establish the groundwork for the Telstra Programmable Network with future enhancements, such as orchestrated real-time SD-WAN and security, to be announced in the coming months," the company said. Note that the URL provided in the company's post for the Programmable Network (https://www.telstra.com.au/business-enterprise/solutions/network-services/sdn-nfv) wasn't working at press time.